Wednesday, 27 March 2019, 10:24a.m. Over, on or in... the choice in ear-wear has never been so overwhelming. Samsung's Galaxy Buds are a pleasure. Often cutting edge technology throws up almost as much frustration as satisfaction, but Samsung's follow-up to its Gear IconX buds gives me almost no cause for complaint. The first pleasurable feature is how tiny the Galaxy Buds are. I've tried quite a few bluetooth buds and till now most of them stick out of your ears rather absurdly - a bit like that thing Lieutenant Uhura used in the original Star Trek TV show. This can make them both uncomfortable to wear and prone to flopping out. Oh, and looking stupid. Not the Galaxy Buds. They're extremely subtle to look at and come with a nice selection of wings and tips to fit any ear canal. Not that I've tried any of the other options. For the first time ever, I wore these buds as they came, straight out of the box, ran seven k's and never had to adjust them once. The single most comfortable earbuds I've ever used. Period. 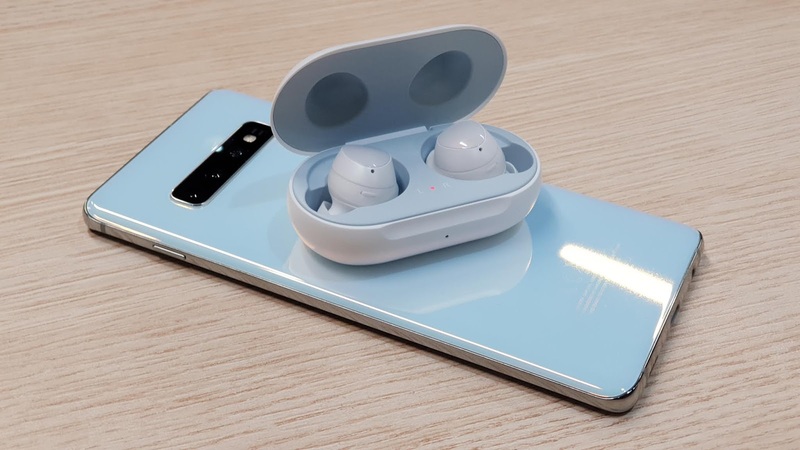 If you pre-ordered a Galaxy S10, you may well have received a pair of Galaxy Buds as part of the package. If so, you'll already know how idiot-proof the pairing process is. In fact, I did it almost without realising it - the second you open the case a pairing request automatically appears on your phone's screen. Accept and you're done, just like that. Some bluetooth earbuds are connected together by a behind-the-neck lead but I've always preferred the freedom of cable-free or "True Wireless" buds like these. Unfortunately in the past this has meant a serious compromise in battery life due to the buds having to connect to each other as well as the device you're playing from. While the idea of a charging case certainly makes it easy and convenient to top them up again, it'd be nice to get more than an hour or two out of your buds before you have to bung them back in the case. Well you get way more than that with the Galaxy Buds. While I haven't had a chance to test the "Up to Six Hours" claim on the Samsung website, I've certainly watched whole feature films with no difficulty whatsoever. Like the buds themselves, the charging case is also small, with cleverly moulded compartments that will only let you position each bud exactly the right way for charging. The case holds enough juice for a couple of full charges, which is a bit disappointing... or it would be except for its greatest trick. The case charges wirelessly too. You can pop it down on any Qi charger or of course, the Galaxy S10 phones have a Wireless PowerShare function that means you can charge up from the handset itself. No disappointment there. Only coolness. Although there is no Active Noise Cancelling (ANC), the Galaxy Buds fit so snugly I've found they do an amazing job of cutting out most ambient sound... sometimes too good a job. I'm sitting in a public library while I write this and I just took a call. While the guy I was talking to could hear me fine, I have no idea if I was whispering or shouting - I couldn't hear myself at all. Nobody asked me to leave, so I can't have been yelling too much. This super tight fit doesn't just keep out the noise, it means you get great bass response and extremely clear audio without having to crank the volume. At first I felt as though I just couldn't run the Galaxy Buds as loud as I wanted to - but I've come to realise I don't actually need to squeeze my music and podcasts past the point of distortion anymore as I can hear every note or word at a more comfortable level. For example, I've been wearing the Galaxy Buds while vacuuming, using power tools and even mowing the lawn. I've had no trouble enjoying whatever I'm listening to with virtually no intrusion from outside racket. Using Samsung's Galaxy Wearable app, you can choose to let in the ambient noise (if for example your wife has grown tired of trying to get your attention with no response). You can also assign that function to a long press of either earbud. In fact, the app is very useful indeed - the long press can be set to summon your voice assistant or perhaps most usefully, you can set one side to turn the volume down and the other to turn it up. Single taps play and pause while double taps skip tracks or answer calls. This is a fair amount of operational functionality for a device that doesn't actually have any physical buttons. You can customise your EQ preferences to a degree, choosing from a selection of five presets. Right now I'm listening to the acoustic folk/R&B genius of the Wood Brothers and the double bass is so clean and true it's giving me goosebumps. There's excellent separation with the stereo effects... it's an audio party in my head. The Wearble app even lets you decide which notifications you receive from any apps installed on your phone - these manifest with about the most subtle alert tone I've ever heard. Even the tones you hear when you insert the Galaxy buds are more musical than intrusive - soft sounds to let you know they're paired up and ready to go. The only question that remains... is $299 too much to pay for a couple of tiny bits of plastic you might lose between the couch covers? ($299 is the RRP - you can find them cheaper in some places) It's a tricky one. They are easily the best earbuds I've used, so I suppose they're worth saving up for. And they're not even the most expensive option out there - several other manufacturers offer similar products with less functionality and charge more for them. They say good things come in small packages. The Samsung Galaxy Buds are very good things indeed. 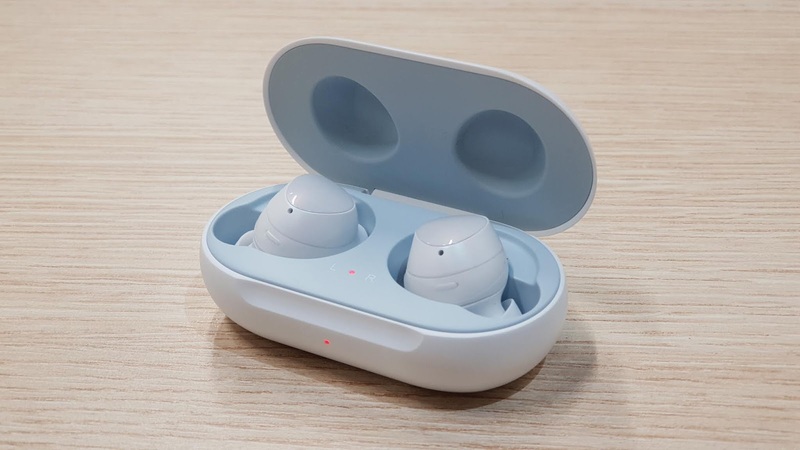 Click here for more information on the Samsung Galaxy Buds.